Little Joe the gorilla turns 23 this week. Franklin Park Zoo in Boston and Stone Zoo in Stoneham have scheduled several events this month. 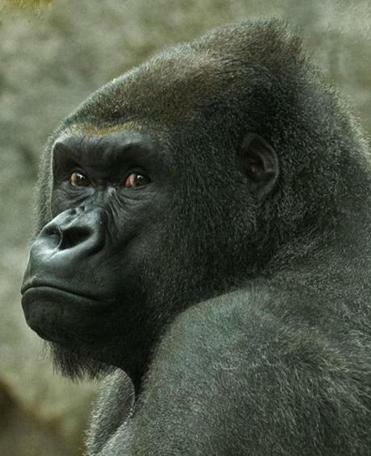 At Franklin Park, highlights include Little Joe the gorilla’s 23rd birthday celebration (there will be cake) Feb. 15 and the Animal Mythbusters Program Feb. 16-19, at which children can investigate animal myths and mysteries. That zoo will also host a Leap Day celebration Feb. 27, but it’s not your typical leap day: It’s all about animals who can really leap, like lemurs and kangaroos. Stone Zoo will host its own school vacation program Feb. 15-19, offering students daily encounters with animals and zookeepers. 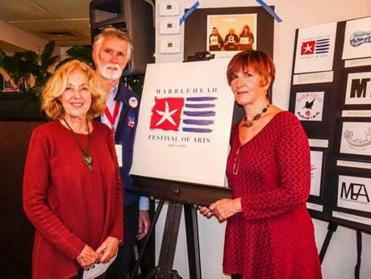 Winner Alicia Hart (right) with Lucille Grant Morton, chair of the Marblehead Festival Logo Committee, and Bill Smalley, the festival’s president. Alicia Hart has been named winner of the 2016 Marblehead Festival of the Arts Logo Contest . Hart received her bachelor of fine arts degree from Massachusetts College of Art & Design and has worked in corporate design for companies such as Blue Cross. The logo she designed will be used to promote festival events and will appear on T-shirts and other festival merchandise. The 51st Arts Festival will be held July 2-5 all around Marblehead. Merrimack Valley Hospice will offer a 12-week Men’s Support Group beginning Tuesday, Feb. 9. Led by Michael Cooper and Richard Davis, the group will meet Tuesdays at the Merrimack Valley Hospice House in Haverhill . For information, call 978-552-4537. 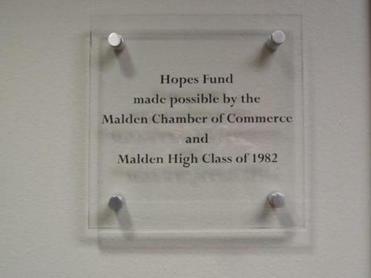 The new Hope's Fund plaque. The Malden Chamber of Commerce and Malden High School class of 1982 have raised $20,000 over the past two years for Hallmark Health’s Hope’s Fund, which supports breast cancer patients. To honor the donations, Hallmark Health staff at the Comprehensive Breast Center in Stoneham unveiled a Hope’s Fund plaque and named a therapy room after the Malden chamber and the class of ’82.